The town of Mt. Crested Butte received requests for $262,000 in funding through its summer Admissions Tax Grant cycle—more than two and a half times the amount of funding available. On March 15, the Town Council awarded approximately $100,000 to community organizations and companies for marketing purposes. According to Mt. Crested Butte mayor David Clayton, the town collected $750,000 in admissions tax in 2015, compared to $690,000 in 2014. Twenty-five percent of that goes toward Mountain Express, leaving $562,000 for marketing grants. Of that, the council awarded $430,000 during the winter grant cycle, leaving $132,500 in the budget. Nearly half of that went into the reserve funds; last summer the council gave out $15,000 more than the available funds, with the difference coming from reserves. “The remaining funds available are being added to the admissions tax reserve to build it by approximately $100,000 over the next three years in anticipation of the opening of the Biery-Witt Center and the town supporting marketing of the center per a town resolution passed in 2015,” Clayton said. That left $100,000 for summer marketing grants and 12 applications requesting a total of $262,340. One request from Two Plank Productions arrived after the deadline, and the committee in charge of pre-screening applicants asked the council to weigh in on whether that application ought to be considered. “Two Plank had discussed with the committee that it had submitted the request via email but that email had been rejected by the town’s exchange server and not received by the town. It was stated that the responsibility for verifying receipt of the request is on the submitter, and not the town. The committee asked the council if they wished to consider the request and the consensus of the council was yes,” Clayton said. There was also some discussion regarding whether or not the town ought to consider a request from the Crested Butte Wildflower Festival for efforts to inform visitors on how to behave in the backcountry. “It was thought that this request did not meet the marketing nor event criteria in the language of the ballot initiative approved by Mt. 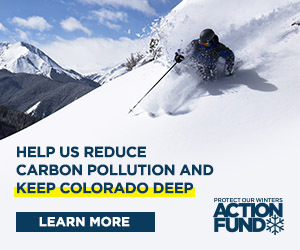 Crested Butte voters but the request was allowed to go forward to see if it could found to be compliant,” Clayton said. In the end, the council funded 10 requests, though only two applications were awarded the full amount requested: $8,000 to the Crested Butte/Mt. Crested Butte Chamber of Commerce to market a Fourth of July evening concert and $3,500 to the Children’s Trailhead Museum. The Gunnison Crested Butte Tourism Association received funding to market direct airline service from Houston to the Gunnison airport and a mountain biking event, but did not receive funding for a request related to its website, Mtbhome.com. The Nordic Inn was awarded $5,000 to promote hiking from Aspen to Crested Butte, and Two Plank Productions received $11,000 of the $28,000 it requested to promote and track a live webcast event featuring the Ultimate Snowmobiler. In addition, the council did not fund the Crested Butte Wildflower Festival request, but Clayton said the Tourism Association has agreed to fund that initiative.